• Inclement Weather: CYT programs will be cancelled when Concord Public Schools are closed due to inclement weather. Every effort will be made to hold make-up classes or rehearsals in the event of cancellations, but if that is not possible due to time and/or space constraints, no tuition refunds will be issued. • CYT follows the Concord Public School calendar for all holidays and vacation days, and will be closed on those days. • Tuition aid is available in limited amounts. Requests must be made in writing to the Artistic Director. • CYT reserves the right to make instructor substitutions without prior notification to enrollees.  • Class registrations are accepted by mail or in person at the CYT office at 40 Beharrell Street, West Concord. We do not accept telephone registrations. Send mail-in registrations to: P.O. Box 652, Concord, MA 01742. Make check payable to Concord Youth Theatre. • Registration forms are printable on the website. • Refund and Cancellation Policy: Tuition is due at the time of registration. Your space is guaranteed only when payment is received. You will not be notified when we receive your registration unless the class is full. If you wish to confirm your enrollment, please call the office. • All classes are contingent on sufficient enrollment. Your full tuition will be refunded if class is cancelled due to insufficient enrollment. •Refunds, minus a $25 processing fee will be given only if the office is notified five business days before the start of the first class. • CYT strives to combine ages with classes to facilitate appropriate and effective learning environments. Please enroll your child in the class that matches their age or grade level. • CYT offers drop-off classes only. Parents or caregivers may wait quietly outside the classroom if they choose, but for the comfort of all students, they are requested not to remain in the classroom or watch from the door once class has begun. Exceptions may be made for students requiring personal aides. • CYT requests that all rehearsals for the Junior Company are drop off only. If parents or caregivers need to wait for their child, they may do so at one of the many restaurants or the library in West Concord center. • Junior Company has a strict attendance policy. If a child is absent, late or leaves early more than twice from a rehearsal or performance, CYT reserves the right to change that child’s part or dismiss them from the company. No refunds will be given. Extenuating circumstances will be considered by the Artistic Director. • These are audition programs. Tuition is due at the first rehearsal. • There are no refunds given after the first rehearsal. • MainStage, Teen and Young Adult Companies have a strict attendance policy. If a student is absent, late or leaves early more than twice from a rehearsal or performance, CYT reserves the right to change that student’s part or dismiss them from the company. No refunds will be given. Extenuating circumstances will be considered by the Artistic Director. • All tickets for performances and fundraisers are available on our website, by phone or in person at the CYT office. • Tickets purchased in person must be paid by cash or check only. Tickets purchased online must be paid by credit or debit card. • There are no refunds or exchanges for tickets.